Most of the time that fragmentation is discussed it is in direct reference to different versions of Android running on different handsets. The cause of this fragmentation is usually identified as the sundry skins that manufacturers develop in order to differentiate their devices from others and create brand awareness and loyalty. Though critics and users have often called for stock Android to be at least an option on Android handsets (if not the standard), manufacturers like Motorola, HTC, and Samsung have continued to create more and more invasive and intricate skins on the devices they offer to consumers. Though a lack of updates is certainly reason enough for users to be upset, a more important issue may be the very different experiences that are presented to consumers because of these skins. If the average consumer were to pick up the HTC Sensation and then pick up the DROID Bionic, they might be inclined to believe that the phones run totally different operating systems. And in a sense (no pun intended), they do. A phone made by HTC and running Sense offers a completely different experience than a Motorola phone running Blur (or “Android with Motorola Enhancements” as Motorola inclined to call it these days) or a Samsung phone running TouchWiz. These manufacturer skins have altered Android so much that something as simple as unlocking your screen is a fundamentally different experience on different Android phones. On a stock device like the Nexus S I simply slide the lock tab to unlock the screen, but on a TouchWiz device I push the lock screen away or complete a puzzle, on a Sense device I slide down the lock bar or slide the lock ring upward, and on a Motorola device I slide the lock tab which also varies in location from device to device. In other words, the first screen that a consumer sees in a store when looking at an Android phone can be completely different from the Android phone next to it. The Droid X2 is only a few months old, and yet the Droid 3 has a completely different lock screen. On first glance a consumer might be convinced that the Droid X2 and Droid 3 are made by different companies because of how different the lock screens are. On a device with TouchWiz 4.0 there are additional sliders for missed calls or new test messages, yet these features are completely absent from any other Android lock screen. It gets even worse on an HTC device. The image above shows all of the possible lock screens you can select on the HTC Sensation. I like being able to customize my device, but there comes a point where these skins aren’t just differentiators. They are creating a completely different experience, and by proxy a completely different OS. Sure, I can play Dragon, Fly on my Droid 2 or on my Droid Incredible and get the same experience, but when I hit the home button I’m greeted with a very different home screen on each device. On my Droid 2 I have a row of 4 buttons, three of which are customizable, whereas on my Incredible I have three buttons on the bottom, none of which are customizable. The polish of HTC’s widgets is incomparable with the widgets offered by Motorola or Samsung (or Google for that matter). 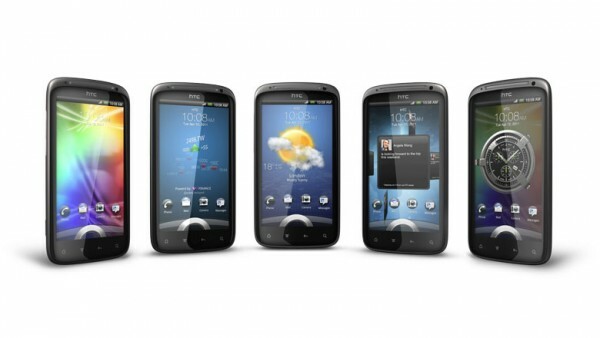 In a community like Droid Life, skins can be somewhat irrelevant because many users hack their phones and use custom ROMs or use a home replacement app like ADW or Launcher Pro to hide the manufacturer’s home screens, but to the average consumer the notion that the HTC Sensation and the Samsung Galaxy SII both run Android is asinine – they do not present the same interface in the least. When someone buys a phone like the Sensation they get Android, but they get the Sense interface too. I’d wager to say that a lot of consumers buy a Sense device because it looks pretty and polished and pass over a phone like the Photon because it doesn’t have a giant, magnificent weather widget for a lock screen. The community has called out manufacturers for putting skins on their devices that delay updates – the question is, does the problem run deeper than updates? Is there a difference between someone who loves Android on the Samsung Galaxy SII and someone who loves Android on the HTC Evo 3D? Would Android be a better platform if Google stopped allowing customizations like Microsoft has with Windows Phone 7? Does Sense or MotoBlur or TouchWiz make an Android handset better or worse? Should Google stop offering Google services to devices that offer such a vastly different experience? There are no definite answers, but I think the questions are important ones for the community to ponder. My first smartphone was the HTC Touch Pro2. It ran Windows Mobile 6.1 (though it was eventually updated to WinMo 6.5). Anyone who ran WinMo 6.5 knows that HTC TouchFlo 3D (the precursor to Sense) was near essential to make Windows Mobile useful, though my TP2 did suffer from slowness because of the skin. When Android first came out it needed a lot of polish. How many of us would be comfortable going back to the Éclair interface? My Droid Eris originally ran Android 1.6 – there is no way I would have found Donut’s interface likeable compared to what iOS was offering at the same. In the Donut and Éclair eras, skins like Sense made sense (pun intended). It made sense to make Android look prettier and in many ways easier to use, but can anyone honestly say that Gingerbread is that confusing to use? It’s not my favorite UI, but it is leaps and bounds away from the drudgery that was Android 1.6. As Google continues to improve the polish of Android I don’t think skins will be necessary anymore. In fact, I think Android skins like Sense, though gorgeous, will be detrimental to Android in the long run. The only commitment that Google has gotten out of manufacturers has been to support devices with updates for up to 18 months, but often those updates are impossible to accomplish because of the skins. When my Droid Eris was updated from Android 1.6 to Android 2.1 I loved the new Sense features, but my phone was doggedly slow (often the phone would ring several times before the screen would respond to my finger’s demand to answer the call). I think Android will be better off if Google begins pushing for a consistent UI across devices. Manufacturers can differentiate through form factors, not skins, that way updates come faster and having an Android phone doesn’t mean dozens of drastically different experiences for consumers. If the message from consumers to Google and manufacturers has been a demand for updates, then the message to Google from manufacturers has been that the only way they believe they can compete is if they skin Android to the point that their experience is vastly different (and in their eyes, superior) to another manufacturer’s skin. This doesn’t lead to the united front against iOS and Windows Phone 7 that Google wants and Android fans envision – it leads a confused consumer base a system fragmented by both updates and experience. What do you think? Are skins good or bad for Android? Should Google exert more control over user experience? Does a phone’s skin impact your decision to buy it or not? Sound off in the comments to let us know where you stand on Android skin fragmentation.